Chapter 3: Escape from Planet of the Tests! Since my previous posts have explained our reasons for going to Mali, West Africa to teach, it’s time to introduce our new school: American International School of Bamako. Here is the official description from our school handbook: The American International School of Bamako (AISB) is an independent, coeducational, private day school which offers a full U.S. educational program from pre-kindergarten (age 3) through grade 12. The School was established in 1977 to serve the needs of American and international community students seeking an English-Language education. The school year is divided into two semesters. My students will be from North America, Europe, and Africa, primarily the children of either embassy workers or NGOs like Save the Children. 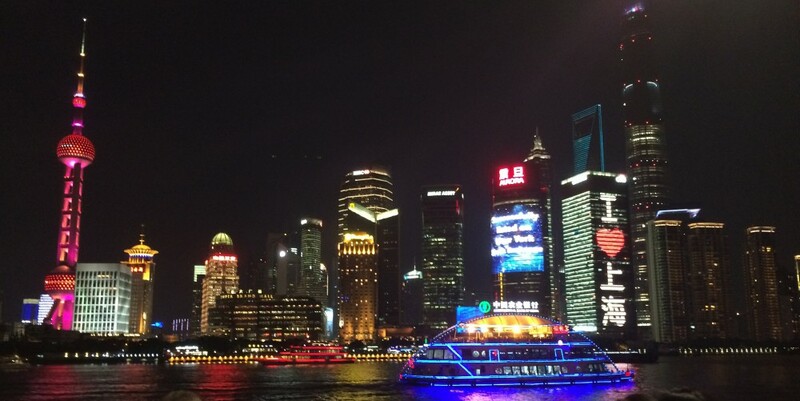 They will all speak English, though there will be some who require ELL services. 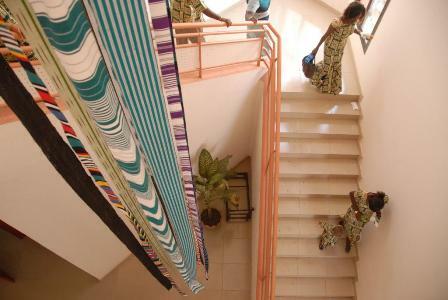 arts facilities, all on five hectares all overlooking the Niger River. 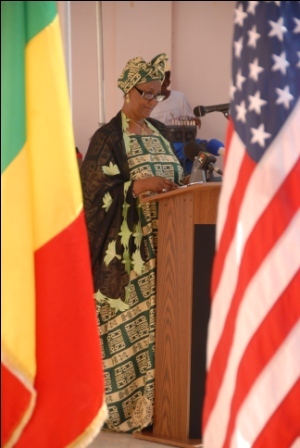 The ribbon-cutting ceremony was quite the big deal, attended by Malian Prime Minister Madame Cisse, as well as the Malian Minister of Education and the U.S. Ambassador from the American Embassy. At AISB there are about 200 students in K-12. The faculty includes a full-time school director, Caroline Jacoby (originally from Australia), secondary principal Randy Neen, 25 full-time and 2 part-time teachers, including 17 U.S. citizens and 10 teachers of other various nationalities. All professional staff members have university degrees or teacher certificates and more than half the faculty hold Master’s degrees. The school schedule is nearly identical to the schedule in Palm Beach County. The AISB school year is approximately 176 days and comprised of 2 semesters divided into 2 quarters each. School runs from late August until early June. Three long holidays occur during the year, one in October, one in December and one in April. The school day begins at 7:30 a.m. and ends at 2:20 p.m. Besides he 3-week winter holiday and 2-week spring holiday, there are a few school holidays that we don’t have in Florida, including Sept. 21-22 (Mali Independence Day), October 20-29 (fall break), January 24 (Muslim Holy Day), January 31 (Muslim Hold Day), May 1 (International Workers’ Day), and May 24-25 (Africa Day Holiday). I knew this school was the place for us when I read the school’s mission statement and belief’s statement. For the first time in years I won’t be part of a school system where the goal is to get kids to pass the big state test at the end of the year! I will be able to actually teach with the needs of the kids in mind. Unlike Florida, my pay won’t be based on student test scores, I won’t be forced to spend days/weeks/months preparing kids for a single test, and I’ll even have some sense of autonomy in my classroom. Teachers with autonomy? What a concept. The American International School of Bamako is committed to providing a challenging, enriching, English-language American-based educational program which encompasses holistic student development in a nurturing, student-centered, multi-cultural environment. – We are a community of learners in which education is a cooperative endeavor involving students, parents, staff and teachers. – We believe in encouraging resourcefulness, creativity and self-expression. – We will give our students the tools necessary to become life-long learners. – We believe each person is a unique individual with dignity and worth. – We believe in providing a supportive and safe learning environment. – We believe our students should develop an awareness of and a respect for different cultures, locally and globally. I did the hot pink highlighting above because that’s a huge statement, something most U.S. schools can’t say anymore. I can actually focus on giving kids a holistic education steeped in creativity, and depth, and with a global perspective. I wouldn’t be able to do that in the U.S. (or at least not openly). 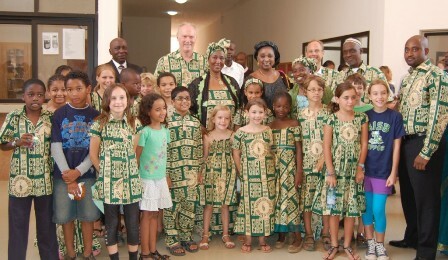 And while the school is based upon the American Educational System, it has unique “international qualities” due to its setting in the Republic of Mali, in French-speaking Africa, and due to the diverse international backgrounds of the school population. Modifications to the basic American program complement the school’s international setting and population–such as French Language instruction and the inclusion of Malian culture, history and geography in the curriculum. How cool is that? This entry was posted in Uncategorized and tagged Bamako, international school, international schools, Mali, teaching, travel by 2seetheglobe. Bookmark the permalink. Wow Jeff, this sounds so exciting!! The opportunity to use your creativity in the classroom will be perfect for you. It sounds like the school that you are meant to be at. Best of luck to you and Jamey. Wow! Sounds like a great school! No high stakes testing – think of the possibilities!! !